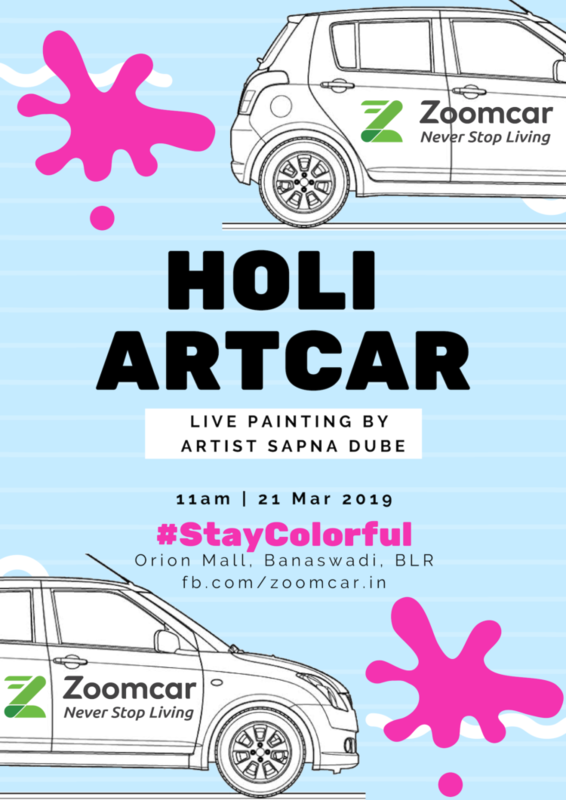 I’m so delighted to be invited by Zoomcar to live paint a car this Holi. It’s going to be a truly memorable festival of colours for me. If you are around, please come on over to Orion Mall Banaswadi, Bangalore at 11am on 21st March to be a part of the festivities. So excited!! !